I am foreigner living in Shanghai 4 years and promoting 11 the most popular clubs in Shanghai. If you want to enjoy FREE entrances and free DRINKS hit me up on my whatsapp or wechat, dont be shy :) +8615000215967 I can give you a lot of tips about this amazing city! Mingtown Youth Hostel offered perfectly nice accommodations; the lockers were spacious and bunk beds comfortable enough. The courtyard was very pretty, and the little bar and cafe a nice spot to unwind. Probably its best feature was how close of a walk it was to the metro station. Works perfectly as a hostel! Staff wasn't very friendly (especially the afternoon staff, they barely looked up when I came in and never smiled; very awkward), but the room was nice, and the Wi-Fi worked well. A little hard to find, kind of tucked into a back alley around a corner, but right near the Marriott, so easy to get Didis. Bathroom didn't have soap, which was annoying... I had to buy my own. All in all, it was fine for the two nights I stayed, but I'll probably go somewhere else next time. 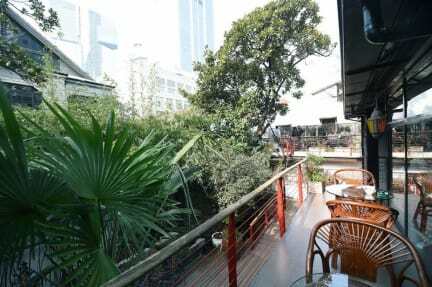 Great location and good value for money, just next to People's square. Only downside was the not so warm shower. Also no English staff for late check-in, but they provided a paper with the info needed. I'd recommend the place! Just take your own padlock if you want to use the locker in your dorm. Not much atmosphere, may be due to the fact it's winter and there's not many guests. Kitchen consists of a microwave and sink, not clean at all. Kind of rubbish laundry facilities but I guess it does the job sorta. No access to drinking water as far as we could find, although a kettle is provided to boil your own. 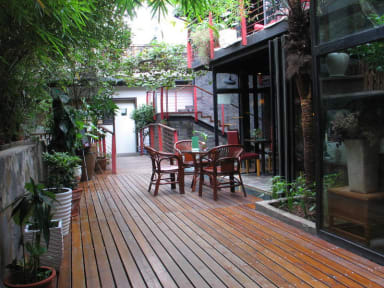 Good location near to a subway station with three lines, walking distance from The Bund. Overall fine. The location is good, very close to People’s Park, food and transportation. The staff weren’t interested in assisting in or recommending anything. The cafe had expensive beer and no food. The dorm mattress needed replacing. If you’re looking for something cheap with no frills, it’s fine. The ventilation in the room is not flew enough. Air conditioner take more time to work. Below bed is quite cold in winter.